A priest prays for his nation. A young man, also a nationalist, asks for absolution - for a crime he has not yet committed. A ruler is about to arrive - to meet his death. In this short story; based on the assassination of Archduke Ferdinand, the trigger for the First World War; Katharine Quarmby tells a thrilling family history of three men whose fates collided one summer day in Sarajevo. 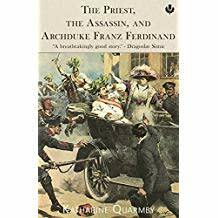 "The story of “The Priest, the Assassin and Archduke Franz Ferdinand”, by Katharine Quarmby, is a miraculous return to the past, written in a completely unexpected and post modern manner. She returns to the old themes of the murder of Franz Ferdinand, the beginning of the First World War, and asks, who is to blame? These are themes that historians are still debating today, even after one hundred years, and which still burden the Balkan people. But this story is written simply, with excitement and passion, and which is situated in the ethics and morals in the old world in which it belongs. A breathtakingly good story." 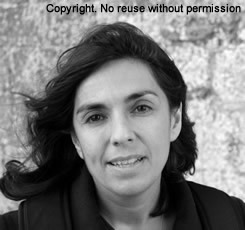 "Once again Katharine Quarmby reveals her talent for making the faraway feel vivid and familiar. A quick, compelling read."